Xoloitzcuintli. Go on, pronounce that, we dare you! 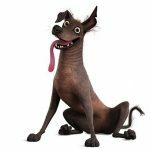 The Xolo, or Mexican Hairless, can expect a lot of media attention in the coming weeks, as one of the stars of the new Pixar film Coco is a dog of this breed, named Dante. Archaeological evidence of dogs similar to Dante have been found all over Mexico and Central America, and dated back some 3500 years. Despite this long history, the breed is relatively unknown outside its native territory. The FCI did not recognise it as a breed until 1956, with the American Kennel Club following suit 55 years later. The British Kennel Club currently recognises them in three different sizes – Standard, Intermediate, and Miniature – under their Imported Breeds Register. The Mexican Hairless isn’t too worried about earthly recognition though. Xoloitzcuintli is a combination of the name of the Aztec god Xolotl and the Aztec word for dog, Itzcuintli; they were regarded as the representative on Earth for the god of lightning and death, and were said to guide the dead into the afterlife. This backstory is just one of the reasons why Pixar picked this breed for their film, which is about a musical young boy who journeys into the Land of the Dead. The studio invited local Xolo’s to come play, so that the artists could study the way they moved and their facial expressions. Coco character supervisor Christian Hoffman described the difficulties which they had animating the hairless animal, who is apparently part dog and part octopus. ‘Hairless’ is actually a bit of a misnomer, as coated puppies do sometimes occur due to a recessive gene. Even the bald individuals have light hairs all over their bodies, with larger tufts on the face, toes, and the tip of the tail. Both varieties occur in all hair or skin colours, and are often marked, splashed, or spotted. 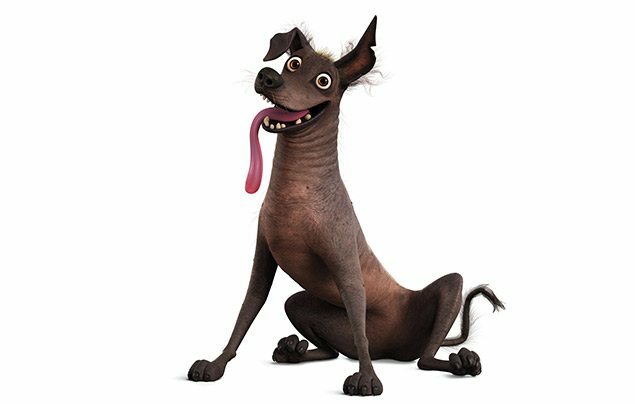 Xolos often have missing teeth, so their tongue naturally hangs out, a feature of Dante’s that is played for maximum laughs in the film. Coco will be released in British cinemas on 19 January 2018. By the way, it’s pronounced “zoh-loh-eets-KWEENT-lee”, if you want impress your friends!